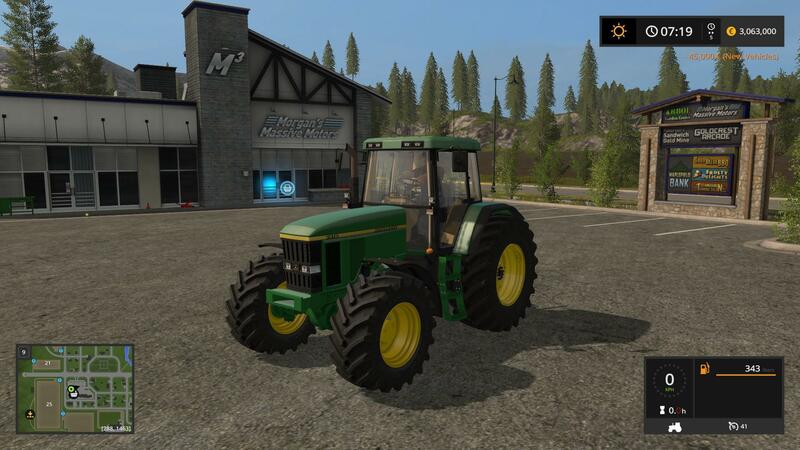 This is a John Deere 7010 series, including the John Deere 7610, 7710 and the 7810 ranging from 140 to 175hp! Due to the lack of interest in making the mod 100% complete, I will now release it as it is in its current state. Hope you enjoy the mod and that you respect the amount of work I have put in to this mod. Nice Johnny, but i found a few bugs. The air pressure hoses do not work, ic control is incomplete, gearbox addon does not work properly and the towbar ist not real. In addition, the rear window does not open far enough. I hope I could help.